We’re never too old to chill with our lolos and lolas. (SPOT.ph) Growing up in the Philippines means that we’re pretty used to living with extended family. There’s never a shortage of cousins or titas and titos to hang out with when our parents weren’t home. Our favorites though were always our grandparents who never ran out of sweets or sage advice to pass on when we needed them. This famous Tokyo based café and cake shop is the brainchild of renowned Japanese cake master Madame Emy Wada, who brought to life the famous Original Mille Crepes that your grandparents will find heavenly. 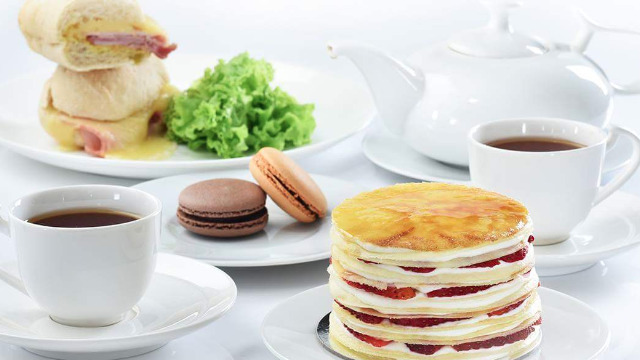 Each bite of their crepe cakes, made with paper thin layers, is perfectly complemented by their selection of Hot and Cold Beverages. From their loose leaf teas like Chamomille, Earl Gray and Green Tea, to the soothing Cappuccinos (120php), Café Au Lait (120php) and Café Viennois (120php), Paper Moon Café will surely delight your grandparents with sugary treats perfect for sweet moments together. Visit them on the 2nd floor of Uptown Mall. El Corazon is a popular restaurant by Chef Florabel Yatco that serves classic Filipino Hispanic fare. After enjoying a fiesta with the grandparents for your family celebration, opt to relax with the restaurant’s surprisingly varied selection of coffee. For a classic pick-me-up, order the Single (140php) or Double Espresso (190php) or a Café Latte (160php). But if your coffee loving grandparent wants a premium Filipino-style brew, try the Batangas Brewed Coffee Bottomless (150php). Mary Grace is often regarded as home to the best freshly made Ensaymadas and Cheese Rolls. When Mary Grace expanded from little pastry kiosks to full-fledged cafes, they introduced new beverages that will sooth and refresh the guests, both young and old, that dine at the café. Café Mary Grace also has fantastic loose-leaf teas, but pay extra attention to their selection of coffee. Let your grandparents try their soothing Brewed Coffees in Vanilla Cream (90php) or Almond Cream (118php). Or treat them to frothy cappuccinos like the Valencia (129php) or the cocoa-infused Muscavado-Chocolate (154php). 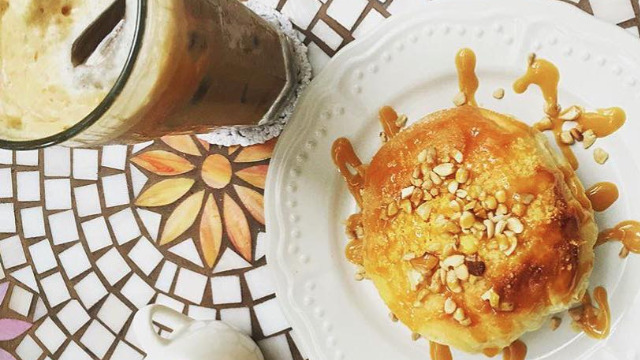 Visit Café Mary Grace on the 4th floor of Uptown Mall. This new concept restaurant created by the chefs of 1771 Group of Companies highlights New York-style griddle pan cooking. As New Yorkers are known to love their specialty brews, Flatiron also features coffee in their menus. Have a cup of Cappuccino (120php), Café Latte (180php) or even a caffeine-free Decaf (120php) if your grandparents are avoiding the coffee rush. Flatiron also has loose-leave tea flavors like Ginger and Lemon, Chamomile and Peppermint tea in their line up (120php). Visit Flatiron on the Upper Ground floor of Uptown Mall. Finally give your grandparents the ultimate coffee experience with the special brews of World Champion Barista Paul Basset. His namesake pop up café is nestled cozily inside Uptown Parade’s Salvatore Cuomo where grandparents will love the specialty coffee available in the menu that range from 120php to 190php. 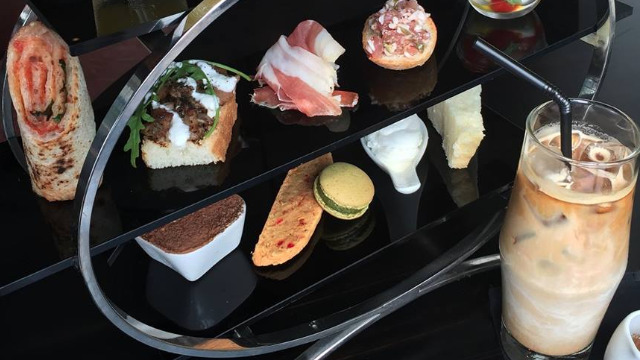 Guests can also choose from their collection of TWG tea and even opt for a High Tea Set that includes Amuse, Appertizer, Bread, Sweets and Coffee from the menu, valued at 800php. The Paul Basset café is located inside Salvatore Cuomo on the Ground Floor of Uptown Parade. Spend the most relaxing day out with your grandparents at Uptown Bonifacio’s many coffee spots located at 36th Street Corner 9th Avenue, Taguig City. For inquires please contact the Megaworld Lifestyle Malls Concierge at 709-9888, 709-0888, 0917-8380111 or email the Uptown Bonifacio Concierge at uptownconcierge@megaworld-lifestyle.com.